Production Time: 75 business days - Madison 5 piece cheese set/cutting board. 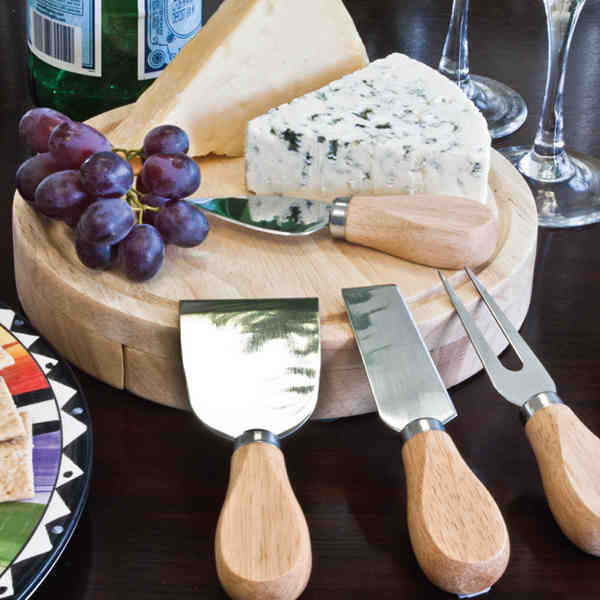 Circular chopping board, hard cheese knife, cheese shaver, cheese fork, cheese spreader. Large 8" diameter cutting surface. Made of naturally durable, eco-friendly, rubberwood. All tools conveniently stored in the slide open case. Easy to clean. Size: 1 1/2 " x 8 "